We have a great relationship with our business neighbours. To the left and right of Kaizen, they are great to work with and this really is the essence of business on the Lisburn Road, Belfast. 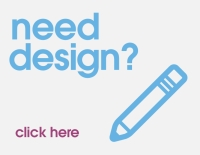 I do love it, especially as we have become their print partner of choice over the past 12 months. Ultimately our goal is to help their businesses grow and prosper. If they do well and grow, then ultimately they should need to use our services more. Itâ€™s win, win and is ultimately how we conduct our day to day business. Itâ€™s why youâ€™ll see me standing outside our offices chatting about signage, marketing ideas and just general day to day business tid bits with our neighbours quite regularly. 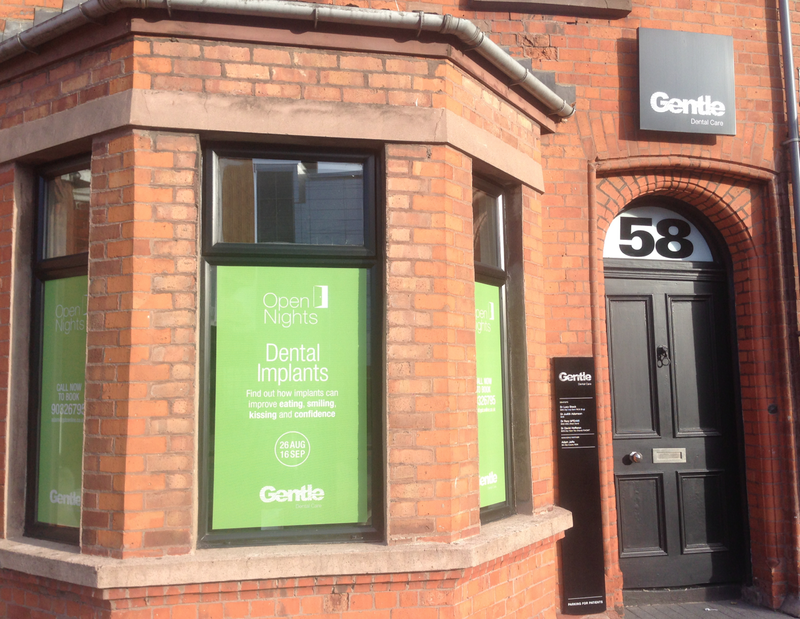 Recently we branded the windows of Gentle Dental with some absolutely outstanding Contravision Window Graphics. Now we canâ€™t claim to have designed these, as the Managing Partners brother Jonny Jaffa is the design talent behind this project (www.jonnyjaffa.com), but his talents coupled with our top of the line printers, has resulted in a striking window display. The purpose of the window graphics and supplementary flyer printing are to focus on the Open Nights Gentle Dental host throughout the year. Focusing on key areas of dental work that people may be concerned about including: Fear of dental work, enquiries about implants and cosmetic surgery etc. Gentle Dental are at the forefront of educating and informing their patients in an informal and welcoming way. I have been told on many occasion about their level of professionalism and this is just one of the ways they give back to their customers. The full colour print on our contravision is absolutely awesome. Look at the green in the picture above. Solid in colour it is perfectly visible from the kerbside of the Lisburn Road. Striking, yet not imposing is how Iâ€™d describe it. About Contravision Contravision or One Way vision as it is also known is used on windows to create high impact displays. The special window vinyl utilises micro-holes to allow you to see through it from one side but not the other. Technically itâ€™s an 80/20 material in that it lets 80% of the light in, but only 20% of the actual view. It is perfect when you need privacy or you want to create a full colour print that allows you to see out. Itâ€™s perfect for business premises, buses, taxis and commercial vehicles.